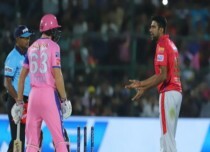 The weak began on hotter note with the national capital witnessing the season’s hottest day as maximum temperature reached 40.0˚C. However, relief from scorching heat followed soon in the night hours. As predicted by Skymet Weather, many parts of Delhi and NCR recorded widespread dust storm followed by light rain and strong winds of about 50 kmph during the wee hours of April 16. 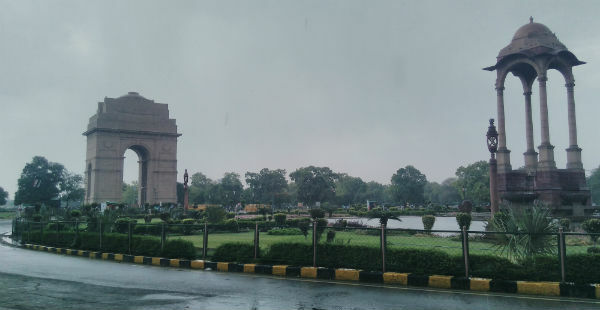 In the last 24 hours from 08:30 am on Monday, Delhi’s Safdarjung Observatory recorded 1.1 mm, followed by Ridge 0.8 mm, Ayanagar 0.4 mm and Palam 0.2 mm. 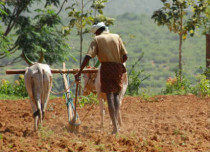 These pre-Monsoon activities led to significant drop in mercury to the tune of 5˚C. Safdarjung Observatory saw temperatures dropping from 25.5˚C to 20.5˚C during that time. Tuesday morning too started on a pleasant note, with cool breeze and cloudy sky. 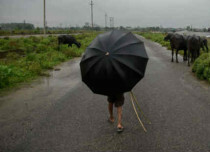 According to weathermen, relief is in sight for Delhi and NCR, as today we expect widespread dust storm and thundershowers accompanied with strong winds over the region. Thunderclouds are already hovering over the National Capital Region. Weather activities will mainly occur during the late afternoon hours. During that time, we can expect few intense showers in parts of the capital city. Weather Alert: Light to moderate dust storm and thundershowers with isolated squall will occur over Central, East, New Delhi, North, North East, North West, Shahdara, South, South East, South West and West Delhi districts of Delhi during next 24 hours. 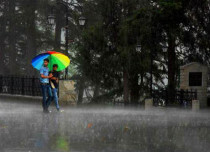 In the wake of rains, day temperatures of Delhi, Noida, Gurugram, Ghaziabad and Faridabad will drop significantly and settle between 32˚C and 34˚C. 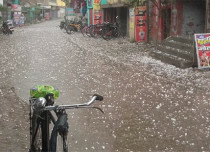 The ongoing weather conditions have brought immense relief from the heat wave conditions. 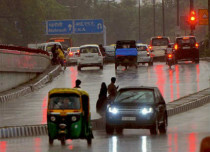 However, from tomorrow evening weather activities will start receding but as it’s a widespread spell, patchy rains will continue over Delhi-NCR till April 18. 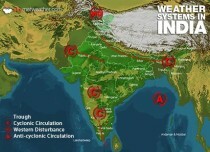 Thereafter, weather will once again become clear and maximum temperatures will start rising.